I’m not sure if my comment posted successfully or not so I thought I’d chance another one just in case! Anyway, what I was saying is that I love this approach of having aspects of a culture or country you adore in your life and surroundings – it really makes a difference. I always have little trinkets dotted about from countries/places I’ve enjoyed and love, and it just makes you feel good when you look at them! What type of French music do you listen to? A band or singer or something else? Im glad you did chance a second reply, as the first one didn’t seem to post! Oh yes, surrounding yourself with trinkets from your travels is so important isn’t it? I think our experiences and travels shape our sense of identity so much and they help relive the memories when you take the time to focus on them. I’m sure you have loads with the vast amount of travelling you’ve done! I mostly listen to traditional French cafe style music… I find it so evocative of bygone eras like the Golden age. The sound of the accordion uplifts me each time I hear it too! Do you listen to any foreign music? 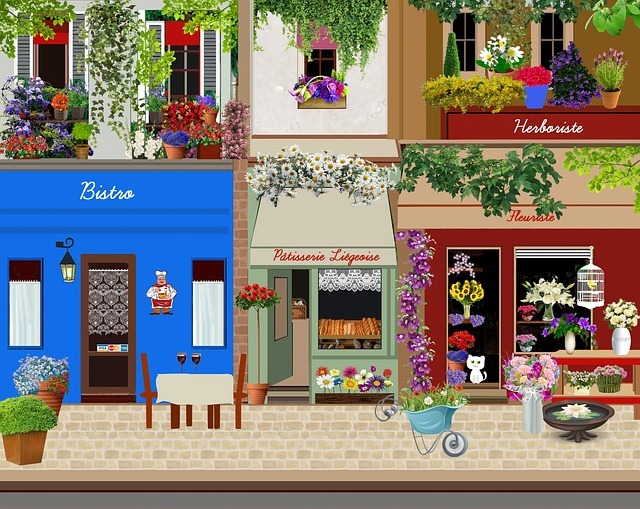 Oh, French café music is the best – there’s a French bistro I adore in central London that is all things French – on Bastille Day they even give you a discount on your order if you wear stripes and a beret for a bit of fun, LOL. I do listen to some foreign music, mainly as background noise if I’m working, but to dance to, it’s usually Latin music. Have you heard of Stromae? He’s one of my favourite artists and he speaks French. Ooh, what’s the name of that bistro, please? I might check it out next time I’m in London. I’ll look up Stromae too as never hear of him. Brasserie Zedel – downstairs they also have a bar and a cabaret/entertainment room! It looks pretty damn fancy. Did you listen to any Stromae? And sorry for the late response! I can’t log in on my phone anymore so wasn’t receiving any notifications. So nice that you are so close and just a train ride away from that magical city…and hope you get there soon and often! Oh, I always enjoy your comments so much, Ann! Although I must admit to feeling very envious of your amazing Paris guest bedroom and I especially LOVE the fact that you refer to it simply as “Paris”! Lucky you just getting back from a trip to the city of Light. Will you write a blog post about it? An inspiring quote from Balzac and it spurs me on to find a way of returning sooner rather than later, for sure ;). Will do a blog post on our travel…but have to get my photos organized. Just posted one about a cake I make..with my grandmother’s sifter. Heavy into baking here….one of the things I love about the holidays. I always enjoy your posts…and love communicating with you – glad our paths crossed in cyberspace ! I’m glad too 🙂 I’m off to check out your cake post right now!